San Miguel (El Salvador): The volcano continues to show strong degassing with light ash content, generating a plume that rises up to 1500 m from the crater and is being blown westwards. 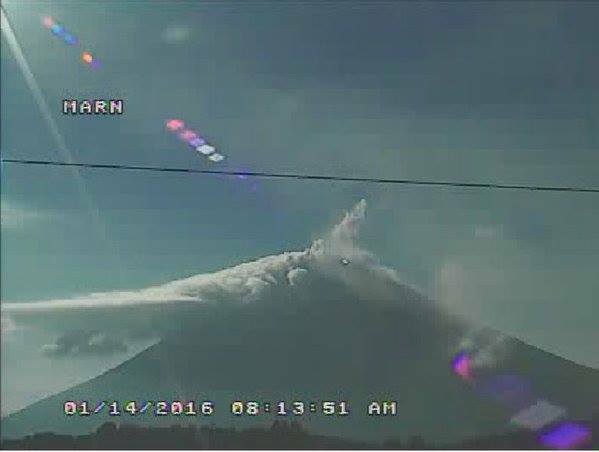 An image showing a pyroclastic flow allegedly from yesterday morning, circulating in some places and news articles, seems to be false. The source said in its official Twitter account that the "freeing" of the volcano began at 5:20 local time (11:20 GMT) and the elevation of ash emitted by the crater ranges between 1,200 and 1,500 meters.